FitBox invitations are sent on a first come first served basis, in the order in which requests are received. Complete the request form below, and we'll send your invite as soon as possible. Q: When will my invitation arrive to join FitBox? A: We are send invitations as quickly as possible, but due to positive demand can only accept a certain number of new members each day. You should receive your invitation in a few days, please be patient. 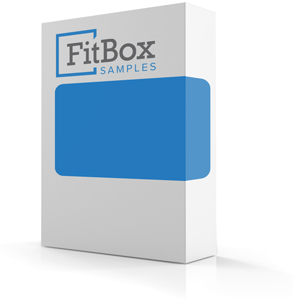 Q: What brands and types of samples are included inside my FitBox? Q: Can I choose the products/brands I want to receive? A: Variety is the spice of life! You cannot choose the specific samples you wish to receive, since that defeats the purpose of the FitBox. Take a chance, you'll thank us! Q: How can I suggest a product for FitBox? A: We love to hear ideas from our members! Please contact us here for suggestions. Q: How is my FitBox delivered? A: We deliver via USPS Priority mail for fastes possible delivery. Delivery service does not require a signature. Q: What if I want to purchase larger quantities of a product I like? A: Please supporyt the products you love, and your local retailers! Please purchase your favotite products locally. Q: What happens if my FitBox does not arrive? A: Please contact customer support for delivery issues, and we'll do our best to solve the problem. Q: Can I buy a FitBox as a gift? A: Absolutely! Please contact us here for FitBox gift cards. Q: What if I have additional questions or concerns? A: We're happy to answer any questions you might have, so feel free to contact us anytime. Nurtiposa is located in beautiful San Diego, CA, home of the world's greatest endurance athletes.